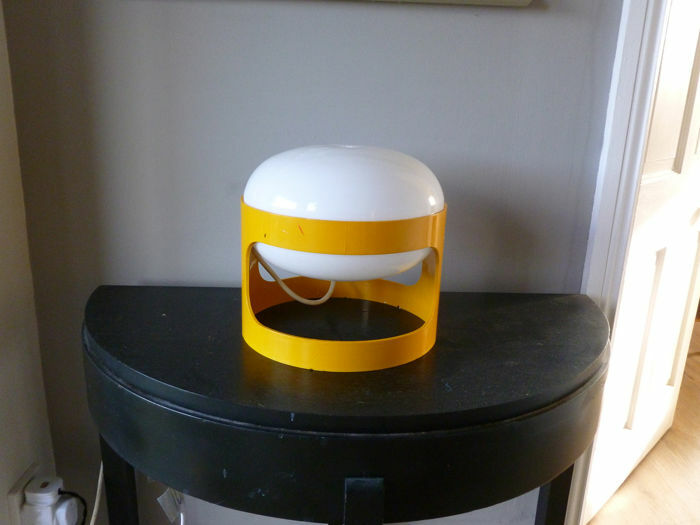 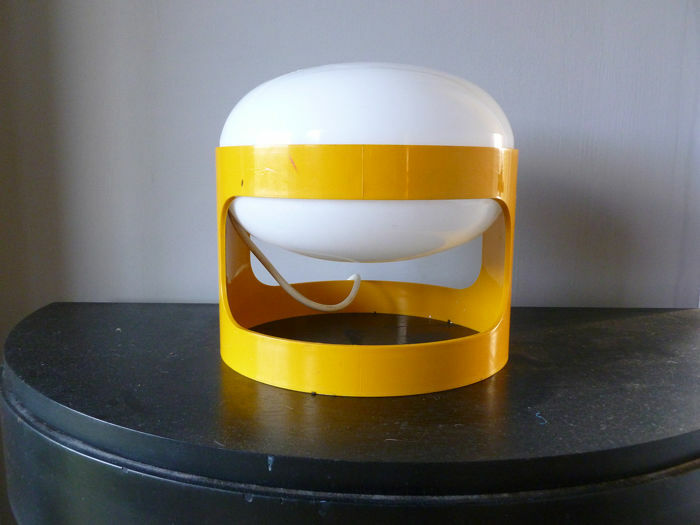 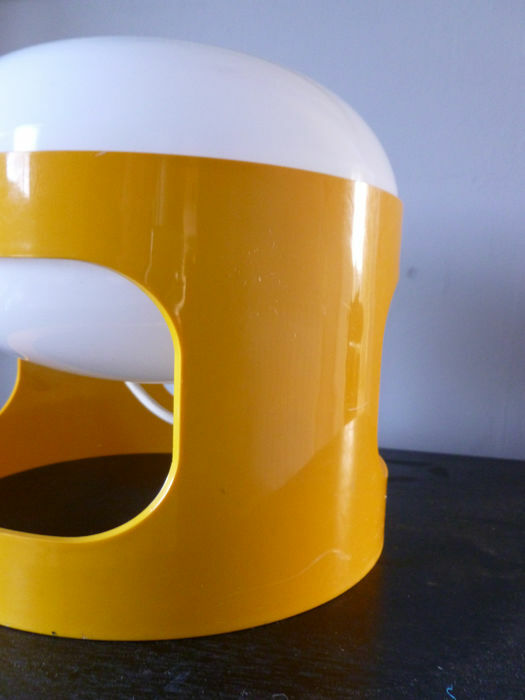 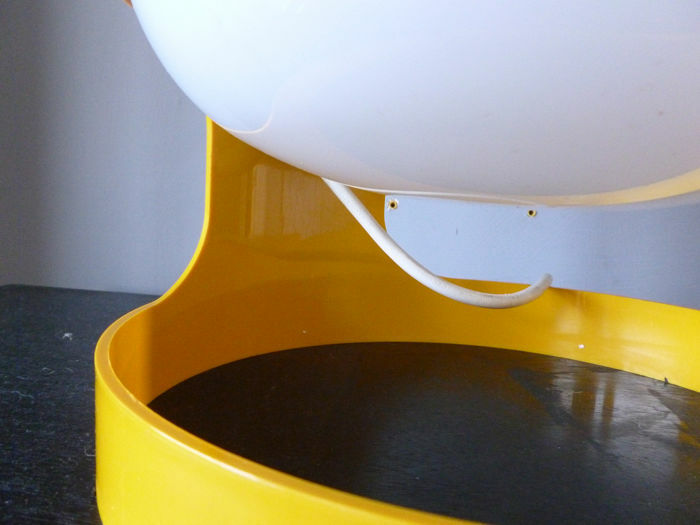 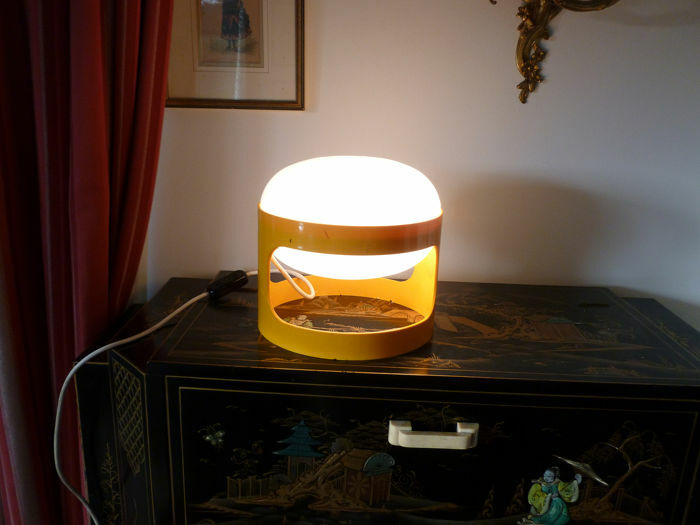 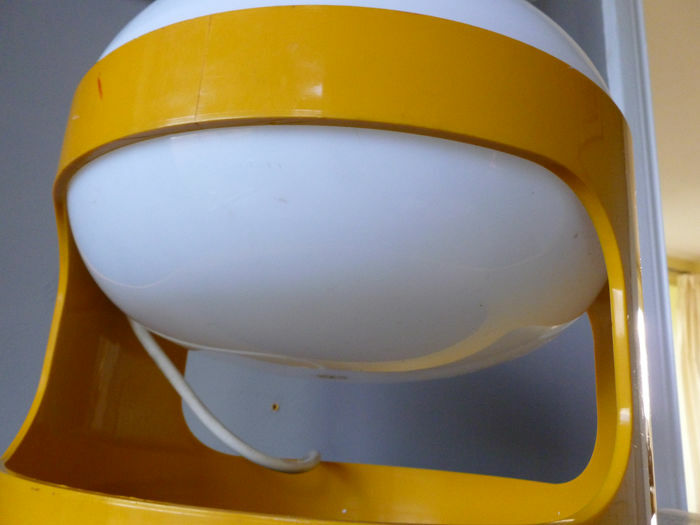 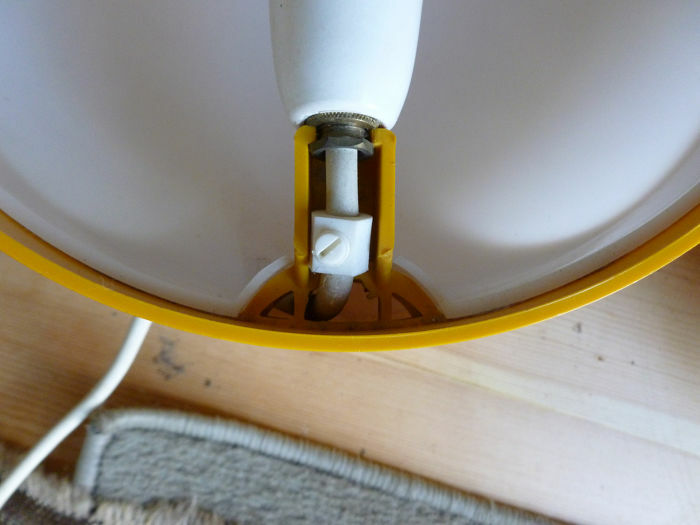 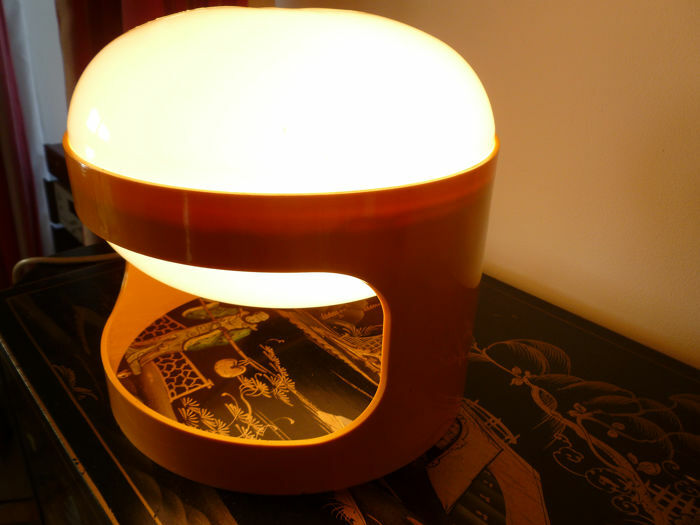 A genuine Kartell KD 27-Joe Colombo light The lamp works perfectly and the yellow plastic shade holder/body is in excellent condition as is the lower shade section,but the upper white shade has cracked due to an incorrect. 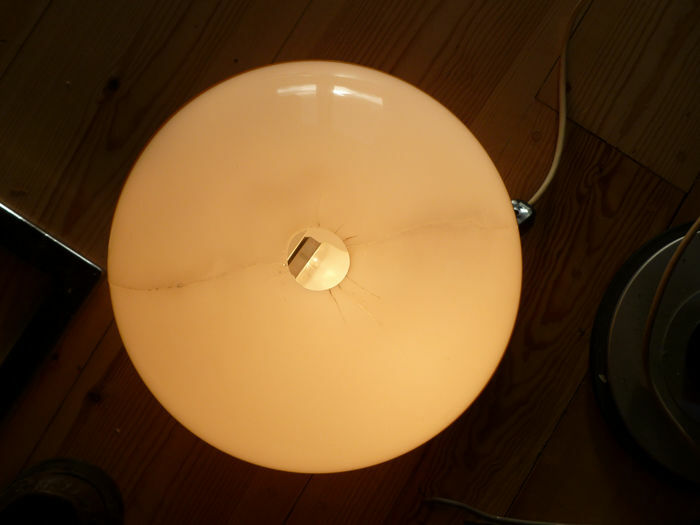 wattage bulb at some time in its life.The crack has been repaired but it does show. 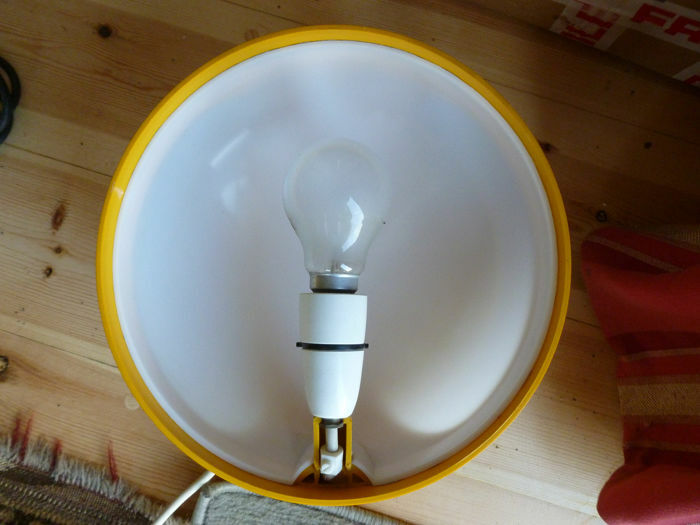 The light still looks great particularly in this yellow colour. 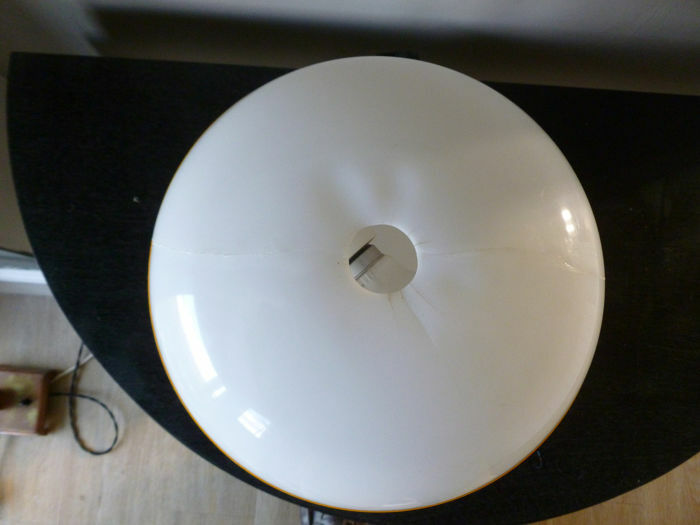 25 cms high.